Pro-lifers rally against ROE Act on Boston Common. Published 4/5/2019. Local. 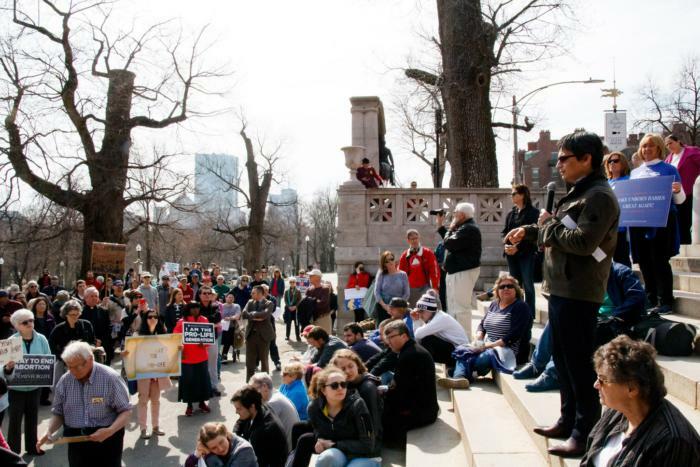 BOSTON -- Massachusetts Citizens for Life sponsored a rally on Boston Common March 30 to protest S.1209, the Act to Remove Obstacles and Expand Abortion Access, or ROE Act. This proposed bill would alter current state law to deregulate abortion in Massachusetts. Speaking to the Pilot before the rally, MCFL Director of Community Engagement C.J. Williams said people came from as far as Sturbridge and Amherst to participate. She said the primary goal of the rally was to educate people about the ROE Act. "I've been in contact with a couple of our reps, and they were not aware of what was in the bill, it's just party line. When they learned what was in it, they said, 'Well we can't, we're not for that, maybe we can rewrite it,'" Williams said. Over 100 protestors gathered on the corner of Boston Common across the street from the State House. Williams opened the rally's speaking program. Then, Debby Dugan, a board member of Renew Massachusetts Coalition, explained what the ROE Act would change. Currently, Dugan said, there is a provision in Massachusetts state law that if a baby of at least 24 weeks gestation survives an attempted abortion, doctors must care for the child as a patient. The ROE Act would eliminate that provision as well as the criminal penalty for doctors who fail to provide such care. Dugan noted that the bill would also remove the requirement that late-term abortions be provided in hospitals, as well as the requirement for a minor to have parental or judicial consent in order to have an abortion. "The public needs to understand about this proposed law and what it does," Dugan said. She encouraged the protestors to help educate the public, sign the petition opposing the ROE Act, and put pressure on their legislators, especially the sponsors and co-sponsors of the ROE Act. "Numbers speak in the field of politics," she said. Dugan also asked them to show their support to the representatives who did not sponsor the ROE Act and "encourage them to speak up for life." The next speaker was J. David Franks, chairman of the board of Massachusetts Citizens for Life. "I am excited to see such an outpouring of support for life. We're in the presence of the house that John and Abigail Adams built. That state constitution that John Adams wrote is there to defend the dignity of every human life and that's why we are true citizens of the commonwealth when we stand up for life," he said. He spoke about the fact that the ROE Act would expand taxpayer funding of abortion through the Healthy Start Program. "That's kind of a grotesque irony, because that program is there to reduce infant mortality," Franks said. He said pro-lifers "must stand for both women and children" and stressed the necessity of acknowledging the problems women and girls face in society. "We must work to reduce the impediments that females live under, but we can't solve the problem by killing the most powerless human beings," he said. Tom Harvey, of Massachusetts Alliance to Stop Taxpayer Funding of Abortions, spoke about his organization, which hopes to collect 80,000 signatures for their cause in 2019. Williams said MCFL is helping with this goal. "If we get this amendment in, that Tom Harvey is working on, we don't have to worry about bills like ROE. It's going to take a long while, but (it's) definitely worth it," she said. Speaking with the Pilot after the rally, Martha Tansey, a member of Life Runners from Scituate, said she has been "quietly pro-life" all her life. 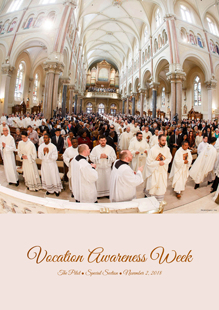 She was prompted to become more active when she saw EWTN coverage of New York governor Andrew Cuomo signing legislation to allow abortion up to 40 weeks. She said the pro-life ministry in her parish expanded from about 10 women to about 80 people "overnight." "We've been very active about getting that information out to our parish, and we've had a lot of positive response," Tansey said. A woman named Terry from Dedham also said the New York law motivated her to get involved in pro-life work. "I do have a pro-life stance, but that woke me up," she said. She pointed out the "contradiction" of Massachusetts expanding abortion in this way. "(In) Boston, we're so proud of our hospitals, people come (from) all over the country to receive their lifesaving care in our hospitals, and we're going to be the same city saving some and putting others to death," she said.